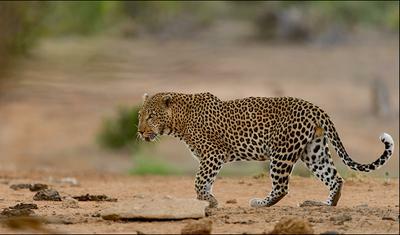 Meet Cyrus - the large male leopard that usually frequents the Ngobeni waterhole area on the H14 road. With the 2015/2016 drought all animals are having to travel further to find food and water - here is Cyrus at the Nandzana waterhole, about 10 kilometers away from where he's usually found. Leopards are so mysterious and strong - you've captured both traits in your images. I love the low angle and the eye-contact. Looks like the Phalaborwa area has some nice predator sightings - great pics from Frik! An amazing sighting with lovely pics.